Plan a whimsical and charming sendoff from your wedding ceremony or reception by creating ribbon wands for guests to wave. 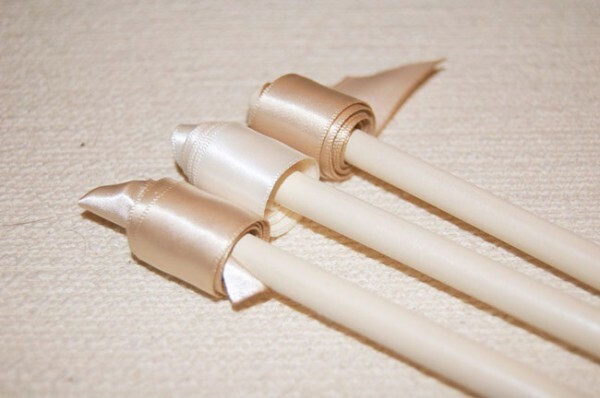 This DIY project, spotted on Ruffled, is so very simple, and wands can be customized to fit your color scheme. Use several different colors of ribbon on each wand, or create every other wand with a different type or color of ribbon. 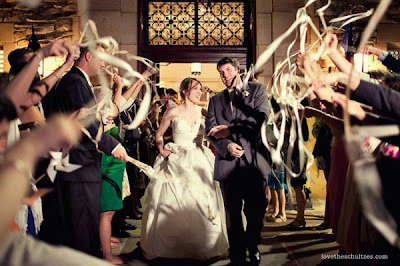 Imagine the neat photo-op upon exiting the venue as newlyweds!